In the mind’s eye lives a delirious blur of illusions, both chaotic and serene. A clash of colors, abstract figures and the faint hint of familiarity lead’s the mind to think against itself and question its truth. Is it real? Or is it all in my head? In the crevices that separate the real from the surreal, we find the rhythmical and colorful chaos that Arkiv Vilmansa weaves. With the immaterial proportions of a dream, Arkiv plays with irony and attempts to encapsulate madness in a box. With fluid lines and an ebbing tide of brazen colors, a spectrum in disarray and a backdrop of ambiguous imagery, equilibrium is formed. 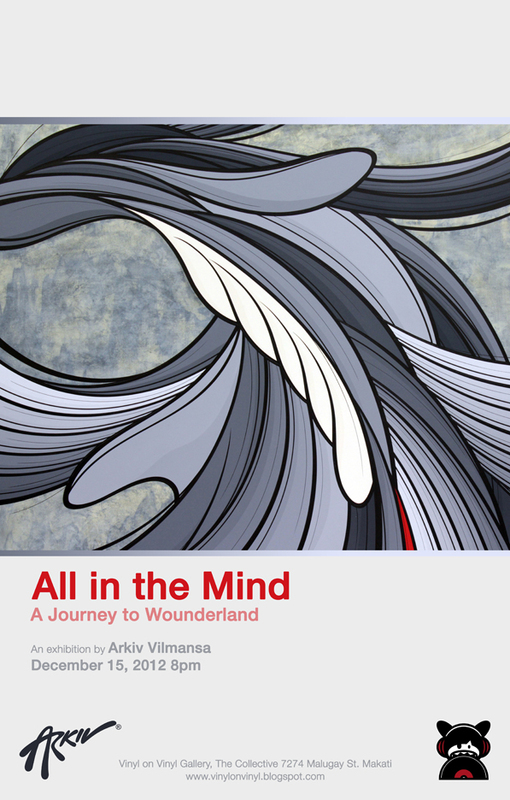 Take a step into Arkiv’s world and gaze upon the faces and symphonies that play with reality and beg to question if it is all in the mind. Indonesian artist Arkiv Vilmansa has certainly come along way from home. Since his debut in 2005 his work been featured in countless galleries all over the world, from Indonesia to the U.S., from Germany to the Philippines; all of which has made him a household name within the contemporary art and toy scene.